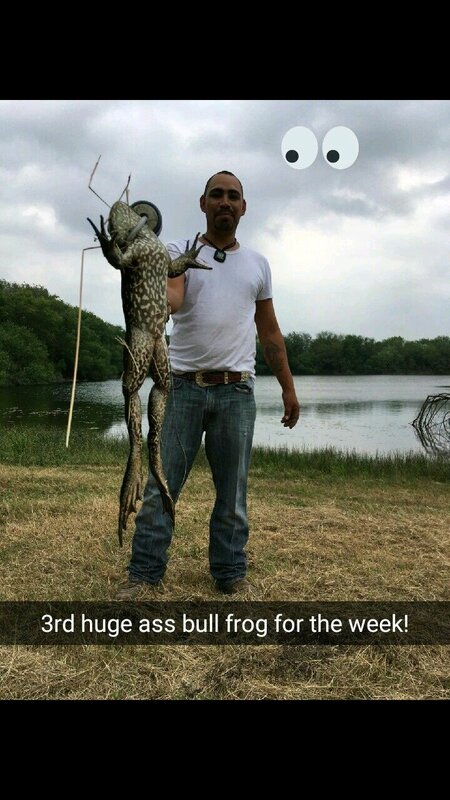 Even the article states "Texas Parks and Wildlife says the photo is an optical illusion because he held it toward the camera and adds that bullfrogs are no bigger than a pound. 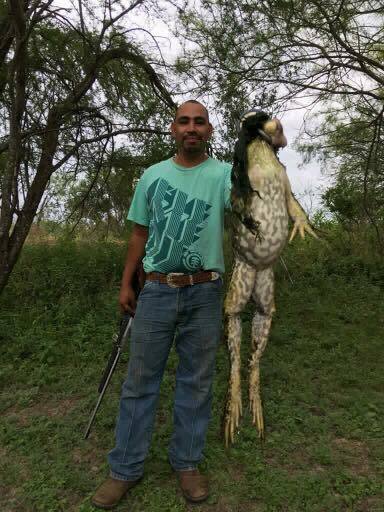 The largest on record has been an African cane toad that weighed 7 pounds." Chances seem better that it's really an illegal alien in a frog suit. Anybody ever see "The making of 'Willard' " ? ... Filmed with Doxins in rat suits.